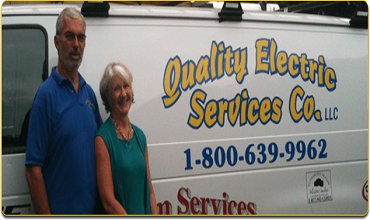 Quality Electric Service is a full-service electrical contractor, providing prompt, professional electrical service to home & business owners since 1992. We are the 1st Generac dealer in South Jersey with factory-trained and certified technicians to install, service and maintain Generac Generators. Since 2003, we have become Generac’s only PowerPro, Elite, and TechPro “5-Star” dealer. Our team knows that we must meet the unique needs of each customer, & provide each one with the very best value of timely performance plus superior quality at a reasonable cost.